We utilized the perfect late afternoon light just before sunset on this beautiful October day to capture some portraits of these newly married ladies, who were so much fun to work with! The ceremony and reception both took place at Lang House in Mandeville, a suburb of New Orleans on the north shore of Lake Pontchartrain. For certain locations, timing can be everything in terms of having the best light to work with. Just a short time before we captured these photos, this area was in much more difficult light, as the sunlight was filtering through trees, producing sporadic areas of brightness mixed in with shadow. Waiting just 20 minutes of so, giving the sun time to drop a bit, produced much more favorable lighting conditions for these pictures. Here's another of my favorites from these post-ceremony portraits. 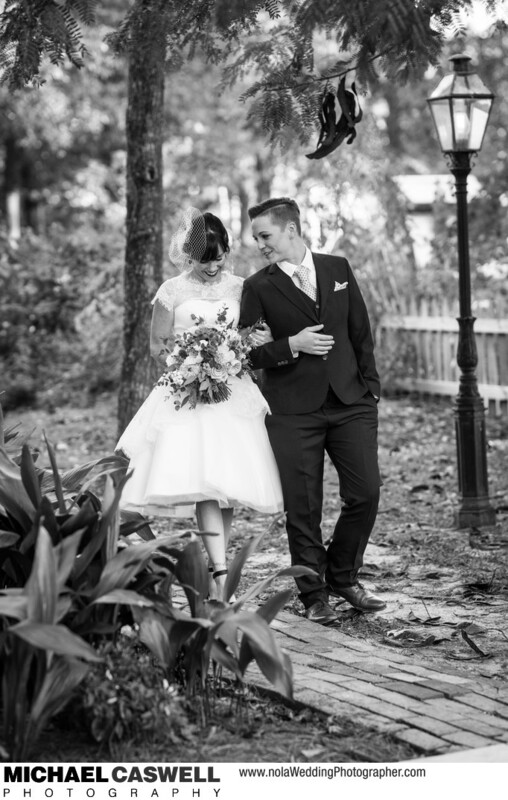 In this series of shots, I simply instructed the couple to slowly walk along this brick-paved walkway, chat with each other, and pretend like I was not there. 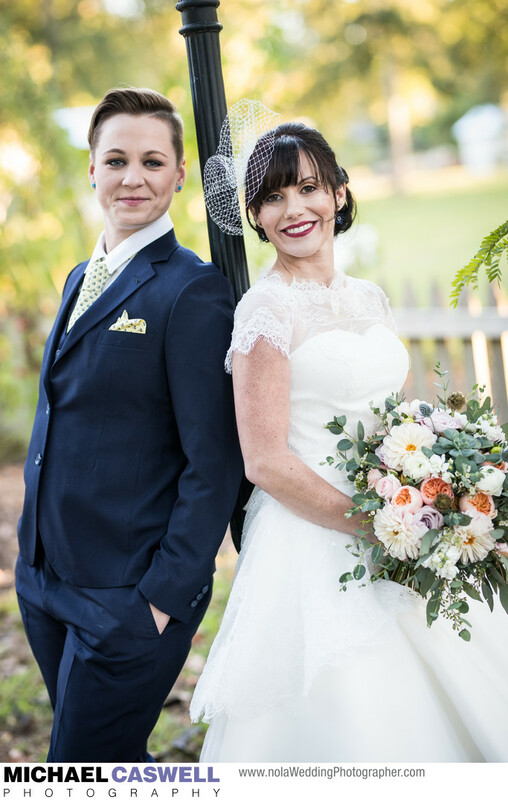 As should be quite evident by the portfolio of work on my website, I am a photographer who enjoys capturing weddings for all couples in love, whether they be comprised of a man and a woman, two men, or two women! Location: 605 Carroll St, Mandeville, LA 70448.